PORTLAND, Oregon (April 2018) – Smith expands its feature-rich WATER collection of sunglasses for Spring/Summer 2018 with the new Barra frame, blending performance on the water with style on the streets for trend-conscious anglers. The 6-base frame with auto-lock hinges, is comprised of Evolve eco-friendly material and offers a medium fit with large coverage including side shields for extra protection from on-water glare. 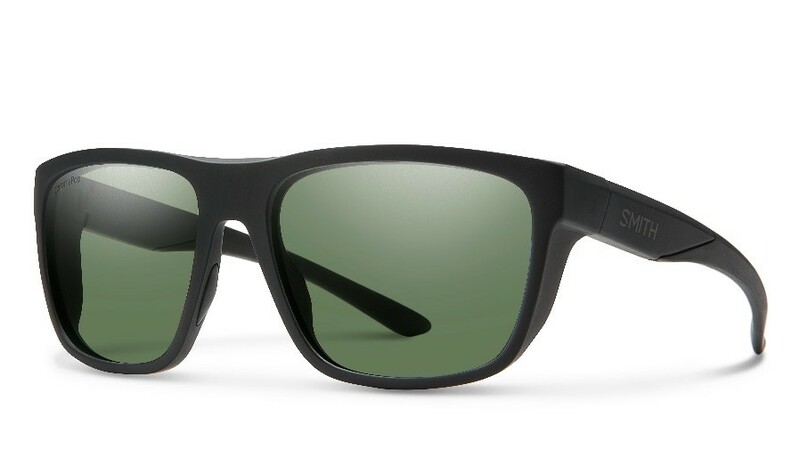 The Barra is offered exclusively with proprietary ChromaPop™ polarized lenses that amplify detail and enhance natural color beyond normal capabilities with high impact resistance. ChromaPop filters two specific wavelengths of light that cause color confusion to deliver greater definition, more natural color, and unmatched clarity to see more detail. All ChromaPop lenses are RX compatible. Providing 100% UV protection, each lens also features a backside anti-reflective coating and complete water and oil resistant lens coating as a barrier against the elements. The lightweight yet durable frame is available in six color offerings, and features flexible megol temples and nose pads that gently adheres to the skin when reacting to perspiration for a secure, no-slip fit. The Barra (MSRP $169), along with the entire WATER Collection of sunglasses, are available now at select retailers and online at smithoptics.com.